Swedish Lapland offers a variety of experiences during winter time; urban nature at it's best in Luleå, the coastal city surrounded by the frozen sea with the ice track . 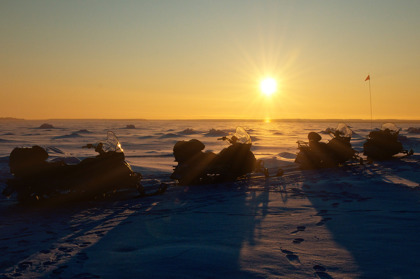 The archipelago invites to exciting adventures like ice pack safaris on snowmobile. 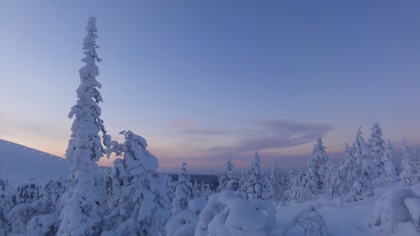 In the river valleys of Swedish Lapland you'll find the wild, the untouched snow and the reindeer farmers. The world famous ICEHOTEL is a must, as well as the old Jokkmokk's Winter Market - a meeting with the culture of Sami. Jokkmokk's Winter Market is an over 400 year old tradition with lots of spirit and genuin products. From Luleå and Boden we have departures to Jokkmokk Friday and Saturday during the wintermarket. 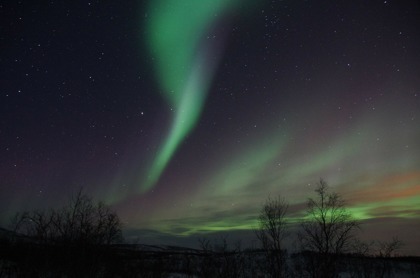 This is for you who don't want to miss anything of all the great there is to see in Swedish Lapland. We'll start with snowmobile safari, when we reach the outer archipelago we may meet up to 10 meters high pack of ice. We'll meet with a reindeer farmer and his family, visit the best spot in the world to experience the Northern Lights, Aurora Borealis. We'll visit the Tree Hotel and the ICEHOTEL. We'll sleep in our own cottages and visit the city of Kiruna - which is under the biggest urban transformation in the world at the moment, a consequense of the mining. Travel not only in enviroment, but in time. We'll start the journey with a visit at Gammelstad Church Town in Luleå - the world's best preserved example of a church town with over 400 church cottages. 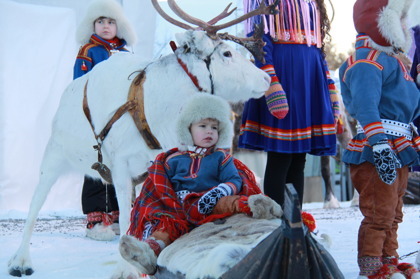 Experience the meeting with the Sami culture when the gates to the 400 year old Jokkmokk Winter Market has open. 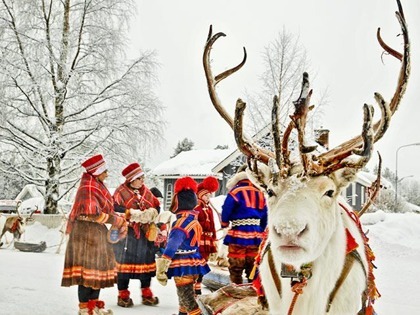 We will learn about the livelihood of a reindeer farmers and ride on a sleigh behind reindeers on untouched snow through the forests of Lapland. Taste the Sami cousine of reindeer meat and berries from the woods around you. We'll visit Sweden's most northern town - Kiruna and also Jukkasjärvi and it's ICEHOTEL. Experience urban nature and ICE in the coastal city of Luleå, surrounded by a sea that freezes to ice and with the it's nearness to the wild nature. Visit the unique Ice Music Consert, take pack ice safari on snowmobiles in the archipelago and kicksledge on the ice track surrounding the city heart of Luleå. The real winter experience. Meet the real Santa in his winter home, he'll show you around in his work shop where all the magic happens. Get to know his reindeers and play in the snow surrounding all over in his winter wonderland.